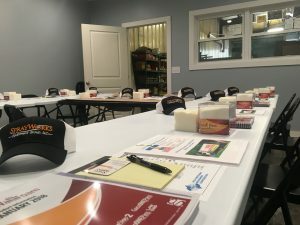 Whether you’re an industry veteran, hiring new employees, or just getting into the business with a complete, new spray foam rig or spray foam system, we have the lessons structured to make your spray foam application business successful. Our training is straightforward and our goal is to see you succeed in business. Your full investment from the training class is applied to your equipment or rig purchase. Training needs do not stop in the classroom. That’s why SprayWorks Equipment offers ongoing support as you begin using your equipment or encounter unknown issues. How to start an insulation business? Sadly, most foam schools only teach sales and business tips from salesmen looking to sell equipment. At SprayWorks Equipment, we chose to do it better. 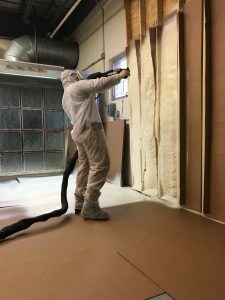 You will learn everything from tips and tricks of the trade to spraying foam in our OSHA-approved polyurethane facility with the guidance of our certified experts. From processing chemicals, equipment maintenance and spray techniques in our simulated construction site to business training, including estimating and sales, SprayWorks Equipment is the only training solution that you will need. We have two training locations. Our primary training facility located in Canton, Ohio and the second location in Lakewood, New Jersey. Interested in learning how a spray foam machine works?